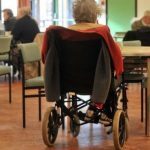 Vital care services for older and disabled people in England remain at risk – despite government attempts to protect the sector, care leaders say. Last month, George Osborne announced plans he said would lead to an above-inflation rise in care budgets. But council chiefs, NHS managers and care bosses have cast doubt on those claims in a letter to the chancellor. It warns his plans would leave a funding gap and put vulnerable people at risk – denied by the government. Care services, including care homes and services that provide help in people’s home for tasks such as washing and dressing, are overseen by local councils.